Mamajoun was founded in 2014, in Scarborough Ontario. 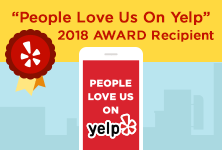 The idea for creating authentic and unique Armenian Pizzas came from a long history of family recipes and traditions that we wanted to recreate and share with the people of Toronto. Growing up, our parents would make Lahmajoun by defining it with their own unique twist on an age old recipe which would in turn be the pride of each family for having what they considered the best blend of meat, spices, and consistency of dough. We believe that the love and effort put into each Mamajoun represents that same love and bond of family that we grew up with. For Armenians, this experience is nostalgic and also a legacy we would love to share with everyone, no matter what race, color, creed or religion. We hope that coming to Mamajoun will be a unique and nostalgic experience for everyone and most importantly that you love the food as much as we do. Our process, although modified for commercial purposes, stays very much true to the origins of making Lahmajoun. The first important step is to make sure we have fresh dough, made on the premises daily, by blending all natural ingredients in the perfect proportions to make it light, thin and pliable so that it can be rolled into a wrap and eaten like a sandwich, the way our mothers used to make it. Once the dough has had enough time to rest, we cut it into the perfect proportions to make each portion a 10″ round base. We then add our toppings to get the Pizza ready for our oven. The original Mamajoun is made with fresh (never frozen) ground beef, seasoned to perfection and marinated in a blend of tomatoes, onions, garlic, parsley and spicy or non spicy red peppers. Once ready, the Mamajoun meat mixture is then spread onto the fresh dough and cooked in extreme high heat with our custom pizza oven. Considering that some people may have concerns with spicy food, we also prepare the Mamajoun, in a non-spicy mixture to tame the flavour for the faint hearted. No matter how you like it, once we add your favourite sandwich toppings and roll the Mamajoun into a wrap, you will not resist the temptation of biting into it. Our Cheesy and Zaatar Jouns are made from the same dough process, however, topped with unique freshly grated blend of middle eastern cheeses and specific blend of thyme, sesame seeds and olive oil to make each Joun. The Half n Half, is the Chef and owner, Mihran’s favourite Joun. He Tops it with green olives, red onions, mint and tomatoes it is wrapped into a heavenly Sandwich that will make you come back for more. 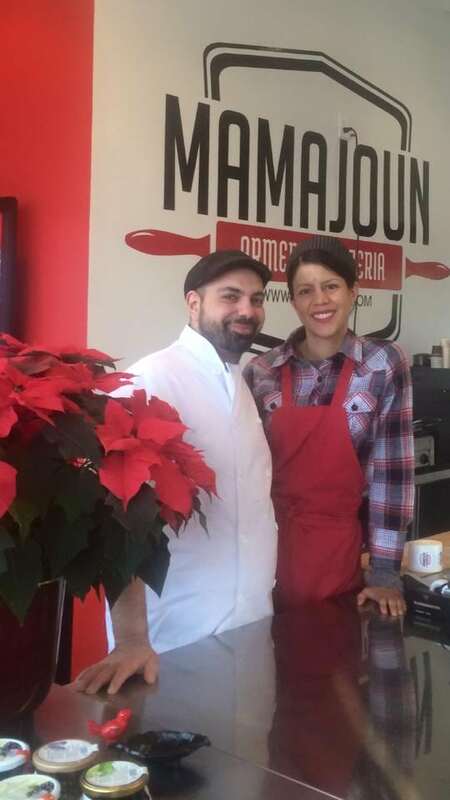 The ingredients used at Mamajoun, are all specifically picked for quality and taste. Our chef, will create a unique Armenian style pizza each week as a showcase and surprise you a lively new twist on a traditional recipe. We really look forward to seeing you at Mamajoun and hope you find the experience unique and tasteful!